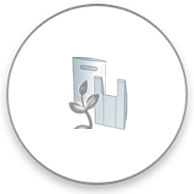 Compostable materials are plastics that are biodegradable and compostable. 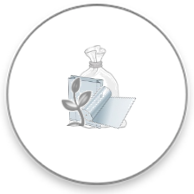 Products made of compostable materials biodegrade in the landfills or home and industrial composters to form biomass which can be mixed into soil. Our bags are certified by CPCB, India to be compliant to IS:17088 and are “OK Compost” and “OK Compost HOME” certified by Vincotte, Austria for compliance to EN 13432. Bags made of compostable materials are strong and tough – suitable for applications like carry bags, produce bags, garbage bags etc. These bags completely breakdown through biodegradation and turn to compost or manure that can be mixed with soil to promote plant growth. These are suitable alternatives to non-biodegradable plastics. Fresh produce bags are strong, light weight – convenient for packing purchased articles. These can be either plain or printed.